In today’s day and age, the predominant thing used for digital transmission of data is fiber optics. Attributing to their high efficiency and transmission ability, fiber optics are rapidly replacing other cables and metal wires and is currently dominating the telecommunications industry. More and more companies are realizing their potential when they employ fiber optics for their operations, speeding their way through everything they do in a day-to-day basis. Fiber optics is as common as anything you know about, making it synonymous with the very thing that drives most of the activity today: the internet. With its higher bandwidth (by a huge margin compared to the next best thing) and faster speed connections, fiber optics has replaced entirely copper-based wires as the go-to option when putting up a network. Over the years, Internet Service Providers are offering fiber optic internet connection and are convincing more customers to avail their fiber optic service. This just goes to show everyone how effective and reliable fiber optics are. And it’s still perceived to grow substantially starting this year until ten years after. How’s that for reliability? There are reasons why fiber optics is perceived to grow substantially between 2018-2028, and here they are. Read away! Cloud computing, data transfer and storage, and the Internet of things (IoT) are the things driving the use of the internet, which in return drives the fiber optics market as it is considered the backbone for the transmission of data. The increase in the number of connected devices in homes and Over-The-Top (OTT) video content and increasing internet access triggers the demand for larger bandwidth of users as time goes by. This is obvious because right now, everybody is on the internet. There are two types of cable. The single cable type is expected to grow at a high rate from 2018 to 2028. 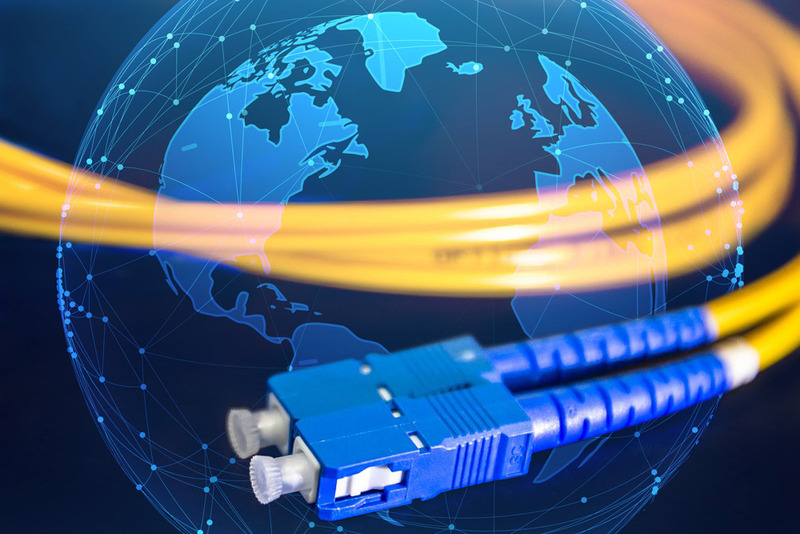 The next generation of the internet is undoubtedly the fiber optic connection which has high bandwidth capacity, along with the proliferation of connected devices and the expectations of users to experience faster and high networks bandwidth which will enable the use of multimode cable for data transfer. The market for fiber optical wires is also expected to grow at a high rate from 2018 to 2028. Security, speed, resistance to interference from vibrations and electricity are some of the significant qualities of fiber optics which are expected to drive its market in applications such as telecommunications and CATV which often requires stress protection. What is polymer optic fiber? Specifically, polymer fiber is one of the latest innovation in the world of fiber optics which is easier and less expensive in the process of optical signal and are more flexible than the traditional fiber optic cable called the glass fiber. And as if traditional fiber cables weren’t enough of providing us the best service, polymer optical fibers offer more benefits than any other data communications solutions, including the traditional fiber optic cable. So basically, this is an upgrade. Erbium Doped Fiber Amplifier (EDFA) is one of the critical technologies used in fiber optics communication systems. This is one of the many innovations and developments that everyone can expect coming in from 2018 to 2028. There would be an increase in the bandwidth that will lead to better equalization technology for high accuracy optical amplification which means there is a higher output power that is envisioned to exist in the nearest future. Fiber optic is in the process of globalization wherein the market is starting to realize the benefits of applications of fiber in different industries. To learn more about fiber optics, just check out the FOA or Fiber Optic Association, Inc. website which is www.thefoa.org. There, you’ll know more about what it takes to be a Certified Fiber Optic Technician.